This recipe has few ingredients, but it does keep you pretty involved. But I think it's worth it, especially for fall and winter! Cut up cauliflower into bite sized pieces. Place on ungreased cookie sheet. Drizzle with olive oil and and your spices. 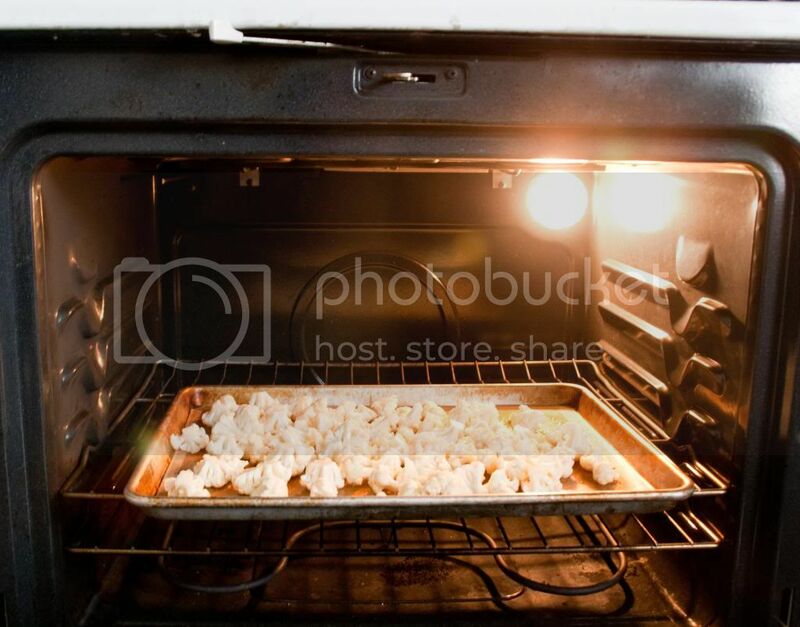 Place in oven and cook until soft. 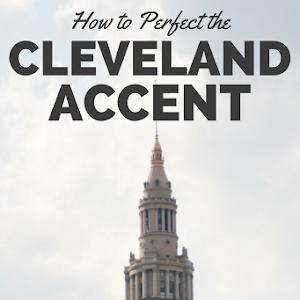 I would suggest about 30 minutes, but check after 25. 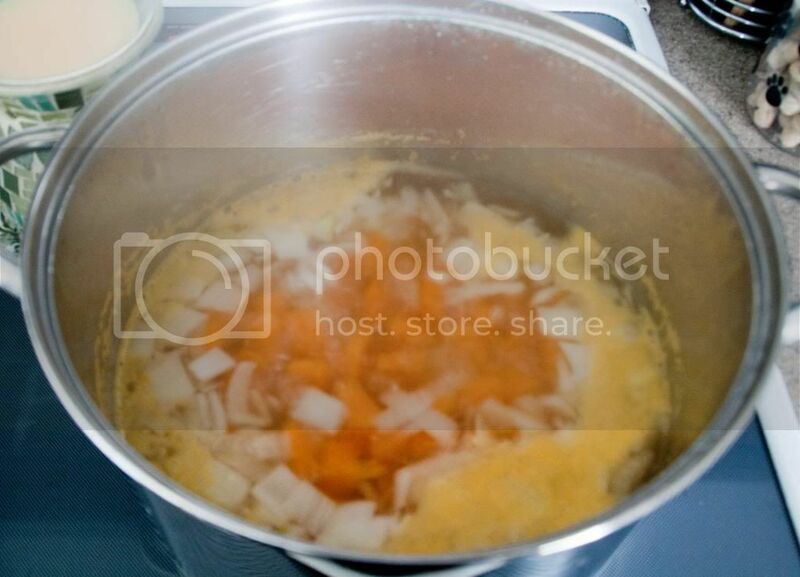 In a large stock pot add sweet potato, onion, and garlic to a boil. I added a bit of salt when it came to a boil. Reduce heat and allow to simmer until sweet potatoes are soft. I'd suggest checking around the 15-20 minute mark, but it won't take long since the potatoes are small. 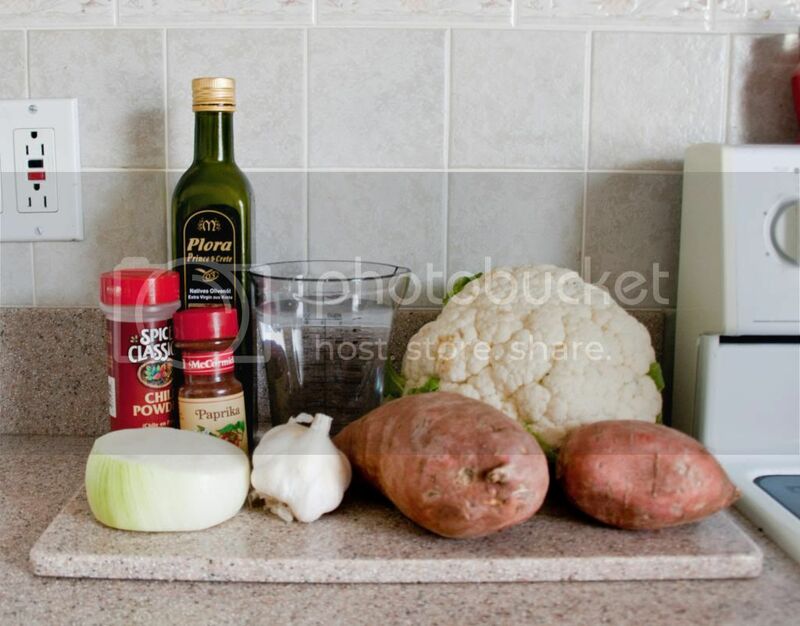 Once the sweet potatoes are soft add the cooked cauliflower to the soup. 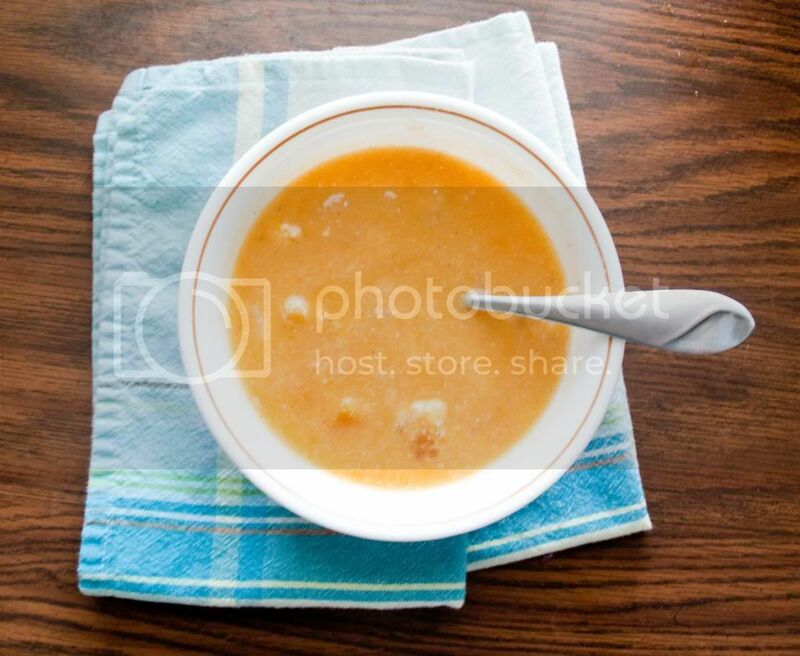 Divide the soup in half and blend one half. Keep the other half in the stockpot. Once the first half is blended add back to the stockpot and stir. Enjoy. At this point I added a lot more salt because I like the savory sweet taste of things, and it was still a bit bland.